On the 35th anniversary of The Antique Rose Emporium, founder Michael Shoup’s looking ahead to new roses as tough as Knock Out®, but perfumed with unique fragrances. 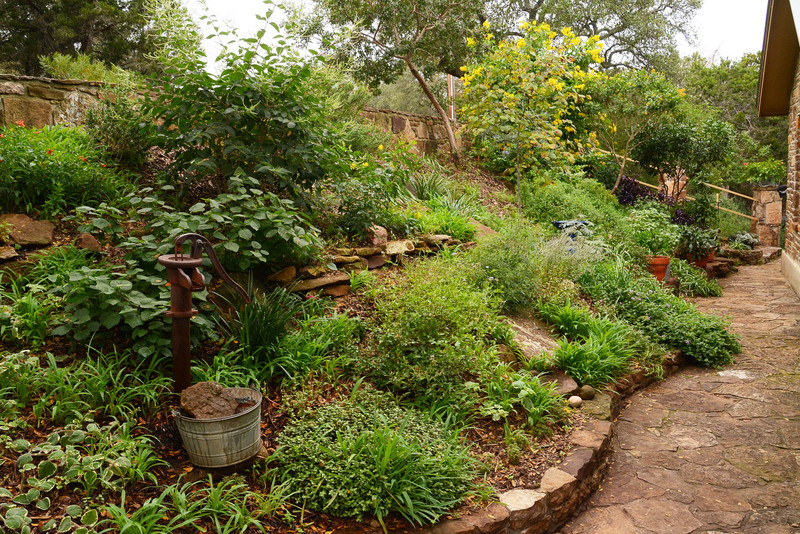 See how new gardeners Kristen and Phillip Knight turned an ordinary yard into food, flowers, and fun while working full-time and tending young children, pets, and a budget. 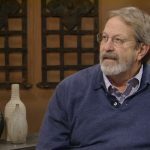 Daphne spotlights viewer wildlife finds, including a young Waco family’s discovery (crane fly larva), and explains why it’s okay to like lichen on trees. Pop native color and structure into containers with Leslie Uppinghouse, horticulturist at the Lady Bird Johnson Wildflower Center. How do you start from scratch when you’re working fulltime, tending small children, pets, and a budget? 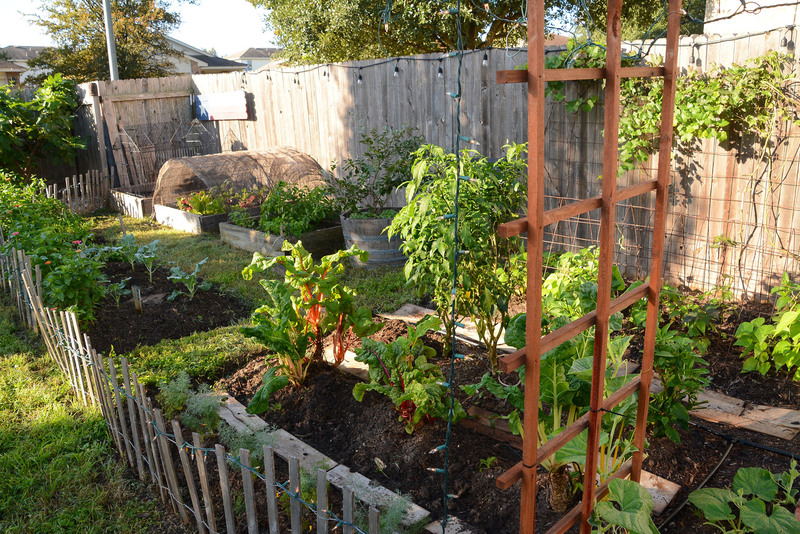 See how new gardeners Kristen and Phillip Knight turned an ordinary yard into a fun design for food, flowers, and family time while working full-time. On the 35th anniversary of The Antique Rose Emporium, founder Michael Shoup’s looking ahead to new roses as tough as Knock Out®, but perfumed with unique fragrances. What are the “worm-looking” larva under leaves of our trees? Is the mossy growth on oak trees a problem? In Waco, Heather Johansen, her husband, and their three young boys found these interesting larvae under wet leaves near earthworms. These are crane fly larvae that emerge as those delicate flying insects that populate our yards and homes in late winter and early spring. They don’t sting or even eat: they’re just out to mate and lay eggs. Heather and her sons also discovered something that led to a fun hands-on project. Last year, they planted a row of Mexican feather grass. After the plants boomed, some of the eventual seeds fell to the ground and took root. When the children noticed baby plants popping up, the family dug them up, and planted them in trays. Now they have 24 more plants for their garden or to share with friends! From League City, Steve and Chi Barefield asked about this mossy growth on their oak trees. Most of the trees in their neighborhood have this same growth. Is this okay? These are lichens and are not anything to worry about. They’re often found on trees in more woodsy areas, and in areas like yours, close to the coast, with high relative humidity. In Liberty Hill, Casey Pezold’s favorite new native plant is white mistflower, Ageratina havanensis. It took a little while to establish, but now this striking beauty is alive with butterflies, moths, and bees every autumn. If you haven’t cut yours back yet, late spring is the perfect time. Some years, this plant freezes on top, but even if it doesn’t, cutting it back to about a foot above the ground each year will encourage a bushier plant and a heavier floral display. And now’s a good time to plant one in part sun! While tramping around Central Texas, plantsman Jim Lidgey spotted these treasures: emerging trout lily, Erythronium americanum, also called yellow trout lily and yellow dogtooth violet. In February and early March, cedar waxwings swooped through to devour fruits from invasive ligustrum, native yaupon holly, and other fruiting plants. Eric Arnston from Stonebridge Pond and Waterfall Company shot this video of them grabbing a drink before dinner and redecorating a car! 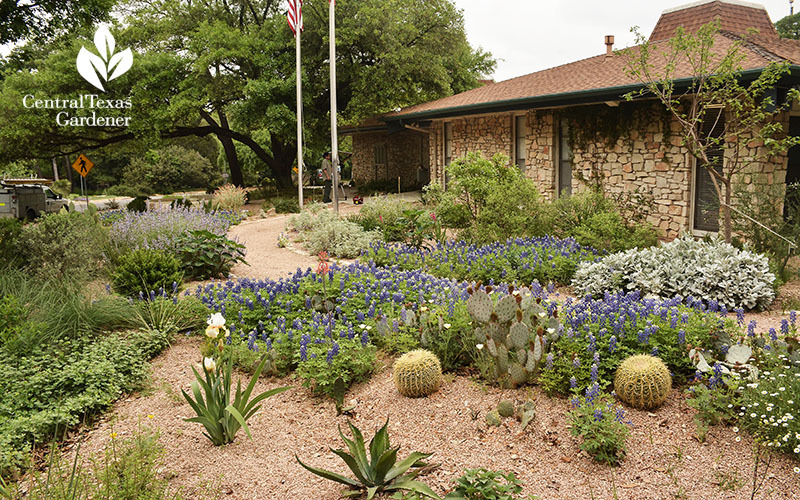 Pop native color and structure into containers with Leslie Uppinghouse, horticulturist at the Lady Bird Johnson Wildflower Center.